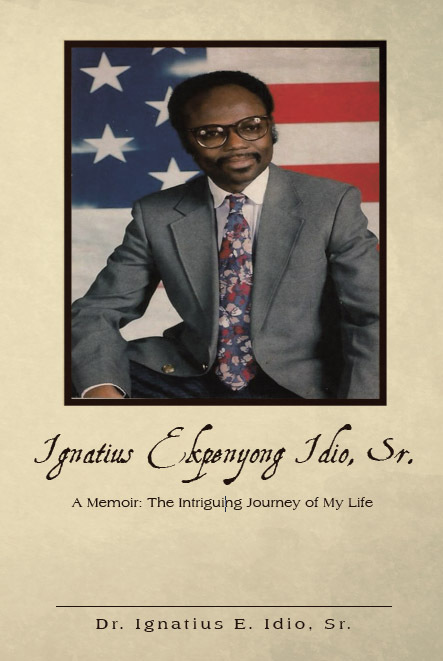 Ignatius Ekpenyong Idio, Sr. « Ignatius Ekpenyong Idio, Sr.
Ignatius Ekpenyong Idio, Sr. traces back the author’s past, beginning from where he originated- a small village called Mbiaya Uruan in Northern Uruan clan, Akwa, Ibom State of Nigeria. His father died when he was four years old, and his mother died when he turned nine. He and his four siblings were raised by his grandmother, who was the pillar of his life. With self-motivation and hard work, Dr. Ignatius E. Idio overcame the demoralizing challenges of life to become a successful man in his own right. Ignatius Ekpenyong Idio, Sr. teaches inspiring lessons about setting goals and working hard to achieve them. Everybody has a story to tell. This is my story. I am one of the 19 children in our family. The exact date of my birth was not documented in the official birth registry or record. In my adolescent years, I made several attempts to obtain my actual date of birth from my relatives who stood in the place of my late parents, but none of them knew exactly the year I was born. Copyright © 2015. Dr. Ignatius E. Idio, Sr. . All rights reserved.